Jersey, like each of the Channel Islands, has its own unique cultural and political features rooted in its long and colourful history. 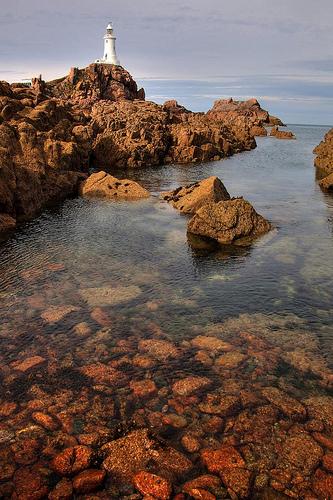 As the largest and most densely populated of all the Channel Islands, Jersey represents an ideal blend of easy-going, mellow island life and a strong economy based on its first-class financial services. Add to that the breath-taking scenery and the many summer-time events that keep Jersey buzzing during the summer months, and it’s no surprise that Jersey is a prime relocation destination. New Forest Removals has been carrying out Jersey removals since the 1990s. While New Forest Removals operates weekly services for removals to all of the Channel Islands, we have vehicles moving to Jersey twice a week in order to accommodate the high number of requests for Jersey removals. We also offer part load services and a full service for Jersey removals. New Forest Removals also offers a full packing service to ensure that your move to or from Jersey comes off without a hitch. Many people looking to relocate are drawn to Jersey’s mild climate as it’s known to be the warmest of the British Isles. For our customers going to and from Jersey not just from the UK, but from all around the world, New Forest Removals will even handle the customs clearance side of Jersey removals. We can also arrange your Jersey removal to or from any location in the world. With over 20 years’ experience in doing Jersey removals, we know all of the ins and outs of every aspect of getting your effects to or from Jersey in the most efficient, reliable way, whether you’re coming from Argentina or from just across the Channel. As with all Channel Island removals, New Forest Removals will go the extra mile to make your Jersey removal as straightforward and simple as possible. Not only do we help you to move your goods and get them to your destination of choice in mint condition, but when doing Jersey removals, we also unpack and set up all of your effects in your new home or office. That’s all part of the full Channel Islands removals package that we offer to our valued customers at New Forest Removals, because, above all, we understand how stressful moving can be and we want to make your Jersey removal all about the excitement and anticipation of relocation, minus the stress! Jersey Removals? Call today on 01590 623 777.